I too have an NX 100 Polaris. So i too have to check before ordering whether the scope in question comes with a 11mm mount or a 20mm one. The ones I shortlisted to buy from Indian sites have 20mm mounts and all the adapters i found are way overpriced here. The scopes available here, besides being Chinese, are atleast 2-3 times overpriced compared to Ali-Express. That's why I'm considering Ali-Express. I saw another adapter in ali-express for under $4 USD. Check that one out too. 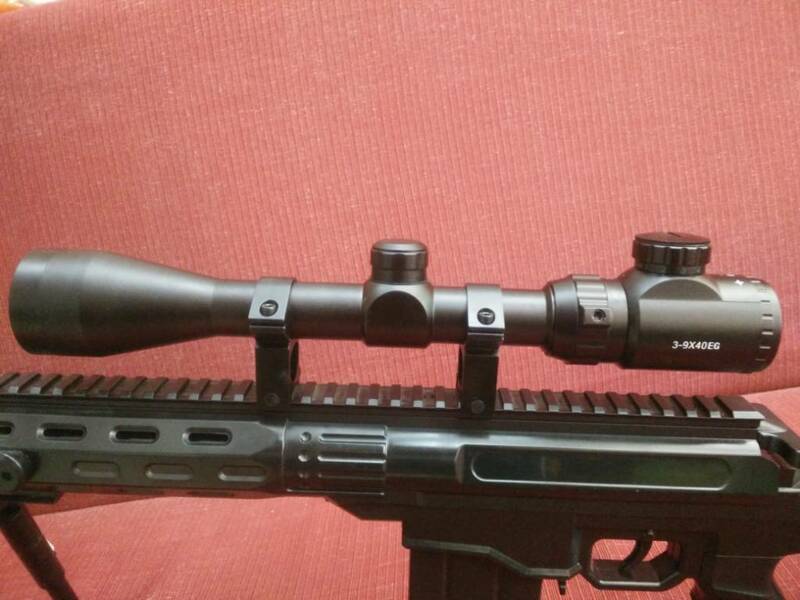 Today, with crossed fingers, I ordered the same scope that is mentioned at the start of this thread- a Gamo 3-12x50 AO scope (imitation/replica), from aliexpress. P.S. Hope it does make it to me. Did you paid any duty for the scope which you bought in aliexpress.. The scope reached me yesterday . Got it in 20 days. Didn't have to pay any duty. I was pretty scared and worried if it would reach me because the tracking page showed that it was coming through Kolkata sorting office(Kolkata LCAO). Luckily after a week it showed Kochi IMC and i got it two days after that. Price was Rs. 3200. Scope seems good. This is my first scope by the way. Mounts which came with it also are good. Finish and quality of the product is very good for the price. The scope is pretty big though. With it fitted, my rifle barely fits in my precihole rifle case. Glad i didn't buy the slim case. Ahhh, so many people are getting their scopes delivered, I think kolkata custom officers have changed their mind!! I just pray that my scope doesn't get detained when I order. Congrats Asifrazak. After shooting please mention whether the scope holds its zero or not. Hey Asif, could you please send me a link of the scope you ordered. And how did you overcome the 11mm rail issue? 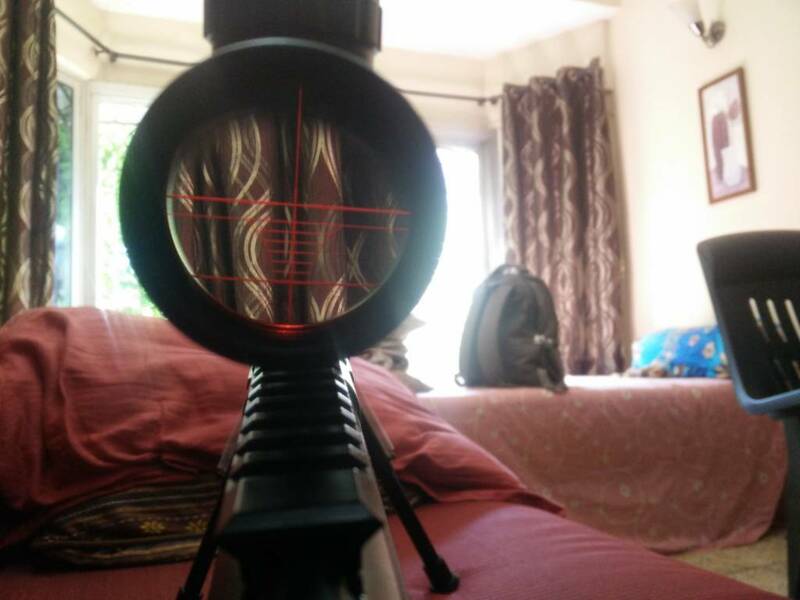 I'm planning to pick up the Polaris in a few days and want to order a scope from ali express; I live in Mumbai too and am only concerned about the rail size issue. Most scopes have 20mm mounts. BTW, did you pay any customs? Oh, and did you pick up the RF Polaris (rust free chrome coated)? I have shot around 40-50 shots now and the scope is holding to zero for now. It is very accurate too, i can hit table tennis balls from 20m easily with this scope. I allows a lot of light in as well. The only downside i find is that the windage and elevation turrets are a bit hard to turn. They are not dials or knobs. Just small metal keys which are a bit hard to turn. Illuminated reticle works fine too. Adjustable Objective makes targets crisp and clear. Open sights feel antique now. I ordered the scope with 11m scope mounts. It was listed as a single product. I wanted to buy a scope which comes with 11m mounts as it's an added expense buying new mounts/ adapters. And we also have to decide between fixed and twin mounts, and also mount height. https://www.aliexpress.com/item/Gamo-3-12x50-AO-Red-Illuminated-Air-Rifle-Optics-Hunting-Scope-Sight-Riflescopes-Hunting-Scope-Free/32546597230.html?spm=2114.30010308.3.56.veAkZY&ws_ab_test=searchweb0_0,searchweb201602_2_10065_10068_10000009_10084_10083_10080_10082_10081_10060_10061_10062_10056_10055_503_10054_10059_10099_10078_501_10079_427_426_10103_10073_10102_10096_10052_10050_10107_10051_10106-10050,searchweb201603_1,afswitch_4_afChannel&btsid=16bb5890-fad1-48dc-a59e-b3edc94e6708 . 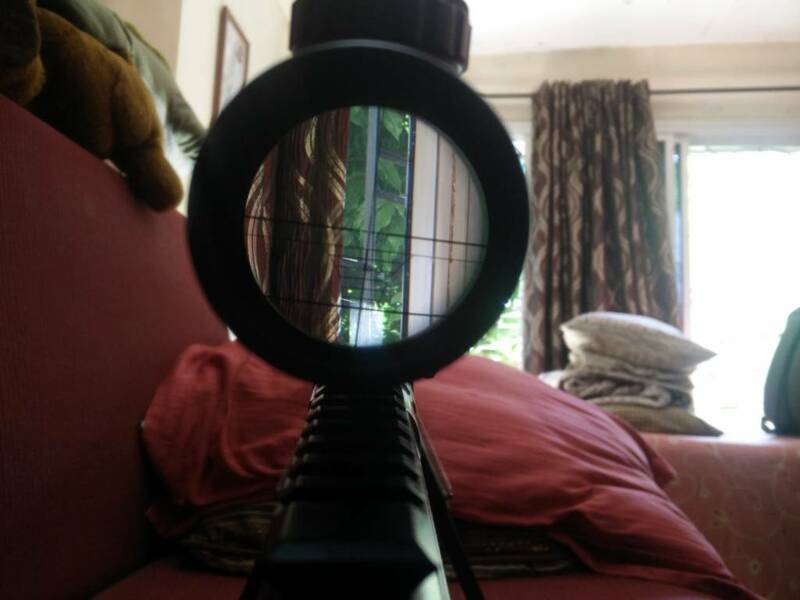 The scope mounts are tall enough and the scope does't touch the rifle at the objective area. The rear mount comes with a scope stop pin as well. I have the non RF plated polaris. I like cleaning my gun and having a non RF plated gun gives me a reason not to ignore or shun it. I do think it is worth spending the extra amount and buying the RF plated rifle if you don't shoot regularly and the cleaning/oiling intervals are long. With 20 mm rails! I couldn't find the one you have, but anyway, hope I can buy appropriate mounts separately later. So you really think going for the non chrome plated one is fine? I'm really worried about the rust issues. Seems the standard version rusts really fast. Any owner inputs on this? 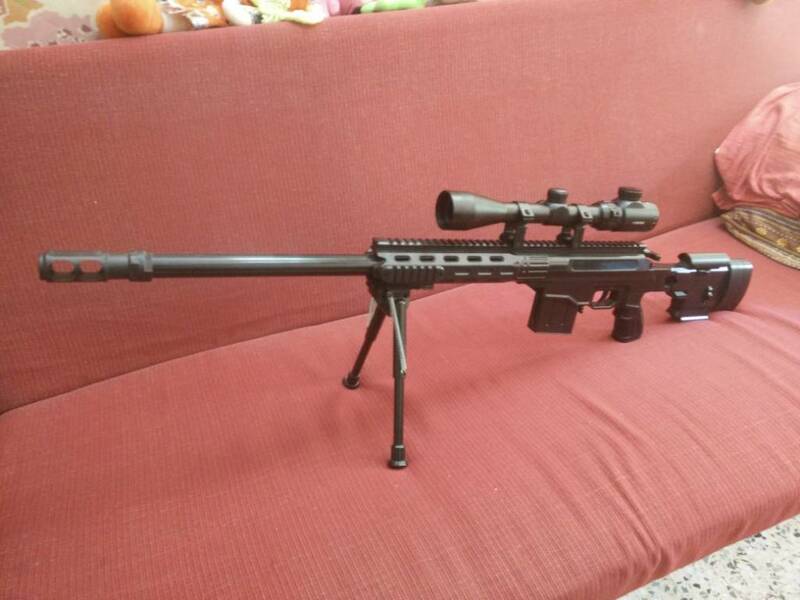 Plan on buying the rifle tomorrow or day after, anyone here who owns a Precihole in Mumbai? Eldroidism wrote: So you really think going for the non chrome plated one is fine? I'm really worried about the rust issues. Seems the standard version rusts really fast. I'd say go for the RF version if you believe you may leave it unattended for long periods of time. And also, you won't have to worry about rust and oiling again. Just normal cleaning would be enough to keep the gun good. I usually oil just once a week and pack the rifle in a case with a big silica gel pack to be extra safe. Okay, makes sense. I don't think I'd be using the gun more than a few times a month. Would only be using it at the farmhouse. I just really liked the idea of having an entirely black rifle. The chromed barrel kind of stands out. Here are some initial pics of it (I'll upload better pics later) on my toy BB gun. I'm going to pick up the Precihole NX100 in a couple of days. Comes with 20mm mounts, so may have to get replacements when buying the NX100. Features 3-9x40, illuminated scope with green or red crosshair. Quality is really good, just remember, this is not Bushnell, but a Chinese copy. 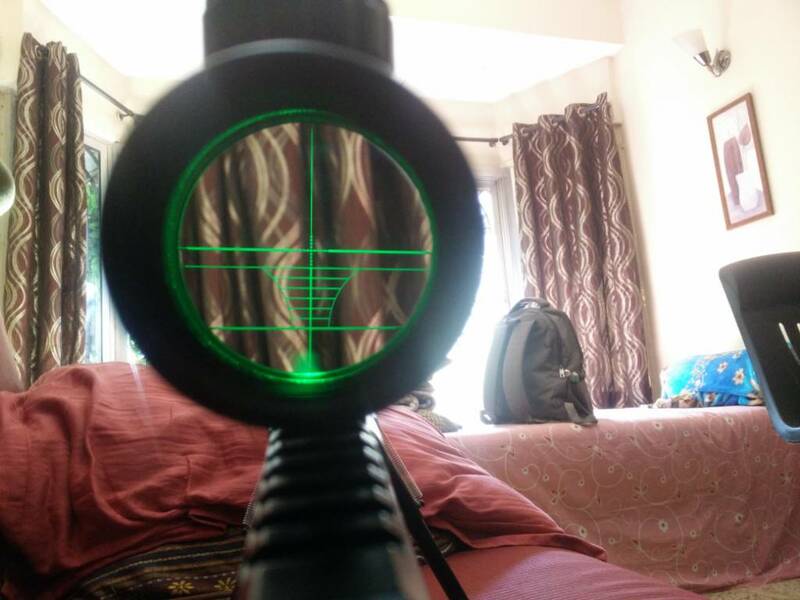 Nonetheless, aim seems fine so far (on my toy bb that shoots plastic pellets at 400fps at 10m) the box has "Riflescope" printed on it, you can find many YouTube videos on the same. The below pics were take before I zeroed in the scope, so please don't judge the fact that it is poorly mounted. I was just too excited and had to click pics immediately. Last edited by Eldroidism on Tue Jan 10, 2017 2:23 am, edited 3 times in total. Basu wrote: If the scope comes through Kolkata postal customs, there is every possibility that it will be detained. Basuda, What happened to your scope ?? did you get it ?? My one has also been detained. Dont know what to do now ?? I was issued a memo , which I replied attaching my club membership. Till date no further communication received from customs. I think , it is gone case. are busnell scopes springer rated?